CFL: Floor & Decor’s Vendor of the Year 2013! Floor & Decor named CFL Wood and Laminate Vendor of the Year 2013 for the second year in a row. The Company was founded in 2000 and is headquartered in Atlanta, GA. 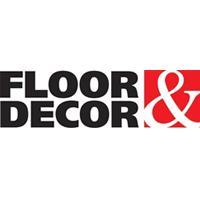 Floor & Decor currently operates one of the fastest growing DIY chain in North America, with 37 stores in 18 metropolitan markets across the U.S. Stores typically range in size from 60,000 to 80,000 square feet (6000 to 7500m2), and each store stocks approximately 2,500 products.